We are delighted to welcome to the Alanbrookes group the team from Frome-based Chartered Accountants Berkeley Hall. 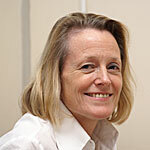 Originally founded by Mr Berkeley Hall in 1922, the team today is led by Sharon Smith ACA ATII. Their clients range from large private companies to self employed individuals, with an emphasis on owner managed businesses and professional partnerships. With the Making Tax Digital government initiative just around the corner in 2019, the Alanbrookes team are looking forward to sharing their knowledge and experience of cloud-based software (especially Xero) with the Berkeley Hall clients along with a wealth of both straightforward & complex tax planning expertise, Will writing, the setting up and management of Trusts, Audit, Succession Planning and Business Re-Structuring. Berkeley Hall clients already benefit from a wide range of both accounting and tax expertise provided by Sharon and her team and we look forward to building on these strong relationships for the future.